Headed by interior designer and managing editor Kate St James and put together by a team of dedicated writers, photographers and graphic designers, Design & Decoration is a superior home design publication dedicated to providing our affluent consumer and industry readers with a comprehensive overview of new developments & design directions in the upper end of the residential market. 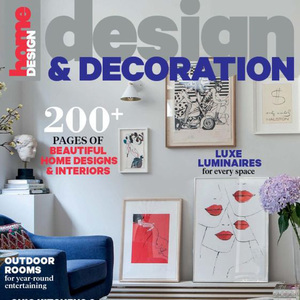 Design & Decoration introduces you to some of the designers whose work is at the forefront of contemporary design. We take you inside some of the projects by leading designers and look in depth at areas such as flooring, lighting, smart homes, kitchens and bathrooms, heating and outdoor rooms.